The point is, ladies and gentleman, that green, for lack of a better word, is good. Green is right, green works. Green clarifies, cuts through, and captures the essence of the gamewinning spirit. Green, in all of its forms; green for threes, for stops, for rebounds, knowledge has marked the upward surge of college basketball teams. And green, you mark my words, will not only save VCU basketball, but that other malfunctioning corporation called the NCAA Selection Committee. Thank you very much. Having a little midweek lunchtime fun. 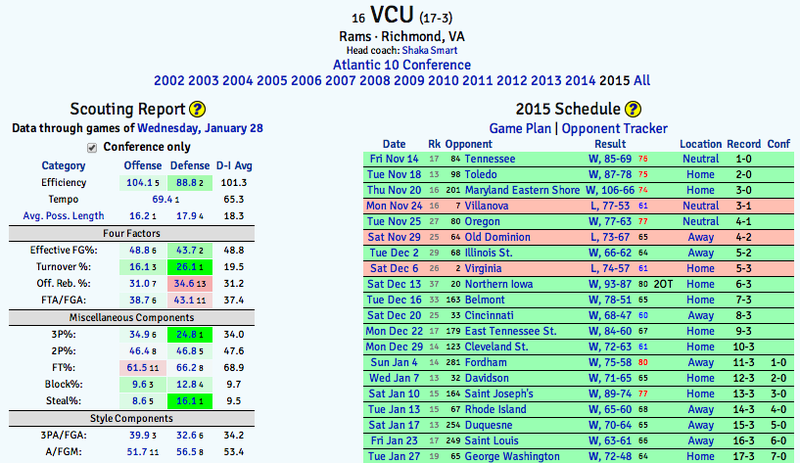 By the way, kenpom.com is the best $20 you will spend this year.